Camping Les Trois Vallées är en camping i Argelès-Gazost, Hautes-Pyrénées, belägen vid en flod/ en bäck. Campingen har platser med stängsel, med skugga och platser med lite skugga. Det finns möjlighet att hyra husbilar. På campingen finns en lekplats, lekstuga och ett sportområde. För den sportige semestervandraren har campingen utflyktsprogram, guidade vandringsturer och olika cykelleder. Det finns ett underhållning. Vem vill inte efter en hård dag slappna av i en jacuzzi. Campingen förfogar över en simanläggning, en utomhusbassäng, en inomhusbassäng med skjuttak och ett knattebad. Det finns också en vattenrutschbana. I Camping Les Trois Vallées är det tillåtet att åka forsränning/åka kajak/åka flotte. Denna inspektör gör varje år ett besök på Camping Les Trois Vallées och inspekterar campingen för ca 200 faciliteter och för andra förekommande punkter. Inspektören är en medarbetare från ACSI och arbetar inte för campingen. Very overpriced. Pitches have plenty of room, pool is lovely, food at cafeteria is nice. Brand new toilet blocks are very swish, but a bit over the top for a campsite. Think bathroom showroom! Too expensive really. Excellent camping on a beautiful site. The pitches are small but nice. The swimming pools are great, the kids area is very nice but almost out of the camping (near the parking lot) wich is not very safe for the kids. I regreted not having a supermarket inside nor in a walking distance, but everything else is great, specially the toilets, that are just beautifull (although they could have toilet paper, by the price...)! This is one of the nicest sites we have stayed on, the pitches had their own water and drain facilities. The only criticism I have is that although the showers were first class and roomy there was no dedicated facilities for disabled ie support rails. my wife could only hang on to the shower head supply pipe whilst I assisted her to shower. This is by far the best campsite we have ever come across. The toilets and showers are exceptional. There are individual shower cabins with lovely stone sinks, baby baths carved from granite and rain shower heads. It is curious that this is the only campsite at this level that does not provide toilet paper. The showers are excellent for families where parents can have privacy and plenty of room to bathe babies and shower children. Plenty of hot water in the showers although not for dish washing. The campsite is on the outskirts of Argeles-Gazost which is a lovely small town with marked starting places for walks and cycles into the surrounding mountains. The area was also made famous by the Tour De France when it hosted several different stages. Lovely friendly people all around. Good proximity for exploring the rest of the Pyrenees and the surrounding sights. The Spanish Border is within an hours drive. Lourdes is only 6 miles north with a cycle path the whole way. The Grottes de Betharram are worth a visit; spectacular caves! The mountains rise up all around the town and campsite making it one of the most picturesque we have been to in France too. The rabbits running freely are more like pet rabbits in their colouring than ones we would be used to seeing in the wild at home. Lovely to see them around. Vill du boka campingen Camping Les Trois Vallées eller få mera information? Det går bra med nedanstående uppgifter eller via campingens webbsida. 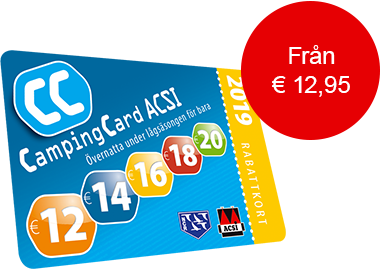 ACSI Eurocampings skickar din informationsförfrågan till "Camping Les Trois Vallées".